TOO FACED, THE MAKE UP BRAND THAT KNOWS HOW TO BE FUN, –as they themselves say– presents its craziest illuminating product. 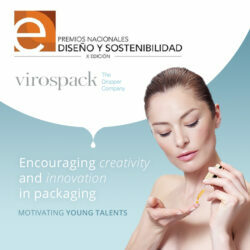 A FORMULATION WITH GLITTER TO BE APPLIED DROP BY DROP CREATING FANCY DREAMS, in a DROPPER DISPENSER PACK by VIROSPACK. Inspired by the brand’s lipstick, Too Faced has developed a brilliant elixir for a magical finish in just one drop. Applied drop by drop in several layers, it amplifies the characteristics with an intense luminous touch that highlights the areas that the consumer wants. For a flattering and fashion look, it is the indispensable product for a touch of fun, flattering and super modern brightness. It is recommended to apply a few drops on the cheekbones, Cupid’s bow and eyebrow bone … a final effect that highlights the features. Its presentation in a dropper is ideal for an excellent dosage and application, clean and precise. VIROSPACK has manufactured and decorated this dropper to apply these illuminating drops, according to the briefing of the brand faithful to a fun and colourful image, with the unicorn and the rainbow as a source of inspiration. 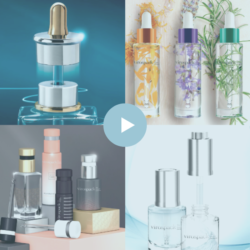 It is a dropper made with standard components and decorated and assembled in the company’s facilities, in a totally customized way for Too Faced, in a fancy presentation customized for them. A dropper with baby blue plastic bulb, gold metal shell cap and glass pipette. A dropper with a transparent bottle and a very “Too Faced” decoration that makes a final packaging as creative and fun as the product it contains inside. Highlighter drops that will be apply drop by drop with maximum precision. LIGHT YOUR FACE, HIGHLIGHT YOUR FACTIONS, ENHANCE YOUR BEAUTY, DROP BY DROP.